- No matter what challenges Life throws your way, you aren't one to retreat from the battle. Your indomitable spirit will carry you on to victory, whether that challenge is conquering a kingdom, or just surviving another round of rush hour traffic. Show the world you're proud of your Celtic heritage! 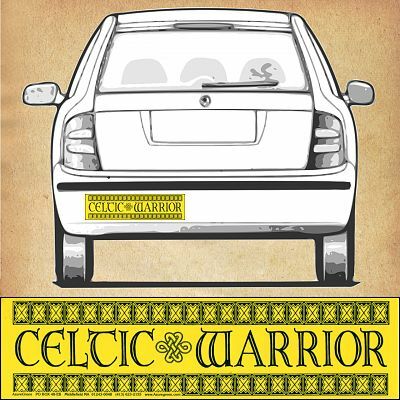 "Celtic Warrior" bumper sticker measures 11 1/2" by 3". This high quality vinyl decal is resistant to UV and water, and is made to last. Do you have any other questions about our "Celtic Warrior" Bumper Sticker?